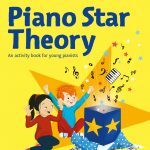 Delighted to see copies of our new theory book for beginner pianists, which ABRSM are publishing next month. Full details here. Delighted to say that this new Christmas collection for young pianists, co-written with Karen Marshall, has now been published. More details here. 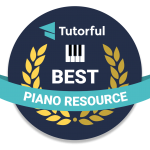 Piano Star Five-Finger Tunes has been chosen to feature in the best piano resource listing by Tutorful, a major educational website connecting tutors and students. Read their editorial here. My two new books in ABRSM’s Piano Star series are now published: Piano Star Five-Finger Tunes: lively and fun pieces exploring different five-finger patterns. Piano Star Grade 1 (co-edited with Karen Marshall): a wide variety of pieces for players at this level. More details of both here. See videos of us launching the books at Music Expo here. 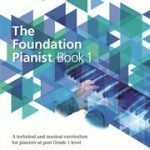 Read Andrew Eales’s review on his Pianodao blog here. Kathy and I have now published this varied collection of concert pieces in new arrangements exploring the range of styles and genres found in Bach’s music. Includes lively Allegros, dances, Jesu, Joy of Man’s Desiring, Wachet auf, and the Bach/Gounod Meditation. Click here for details.